In the March 15th 1907 edition of the Lichfield Mercury, there’s an article written by Clifford Mackay entitled ‘Lichfield in 2007 – A Dream of the Future’. Old Ben Wallace, a Lichfield cobbler, takes a trip through the city streets and discovers how things have changed over one hundred years. Here’s a heavily abridged version, so that you can see for yourself where Mr Mackay got it right (a new theatre called ‘The Garrick’, new houses, mixed schools), got it wrong (a tube station at the Friary, a model Venetian village hiring out gondolas) and sometimes got it very wrong indeed (meeting visitors from Mars on the way to Minster pool). New houses, a large new theatre of varieties, and an entire renovation of the Market, now Dr Johnson’s Square, are amongst other things which come before his astonished eyes, besides a tremendous building called the ‘Royal Garrick’ Theatre, many shops bearing familiar names but entirely rebuilt, and all the streets reconstructed on an absolutely novel, yet excellent plan. …..the people are religious as anything – it is a reality to us and not a sham. The Cathedral is packed every Sunday, at all services too, it’s hard to get a seat. …close to the new marvel, which stood in the field before the Stowe Pool….raised in five lofty square iron towers, nearly sixty feet in height, one being at each corner, and one in the middle was a gigantic platform…..Inside each of ther four corner towers the old man could distinguish lifts ascending from, and descending to the ground floor. Tethered to one of the sides her engines still throbbing, and having an indication with the word Aberdeen printed on it, affixed to its side, lay a huge aeroplane. Away from the Cathedral Ben is surprised to learn about the changes in another religion – Lichfield City FC are doing well having won the English Cup seven times, fielding four international players and getting an an average gate of gate of 12 to 14,000 per match. Of course,the Lichfield manager does it for the love of the game and the reputation of the City rather than as a money making concern. At the end of the walk it all goes a bit ‘Life on Mars‘ as old Ben is knocked down by a car on Wade St. But of course, as with all the best stories, it turns out to be just a dream, and he wakes back in his workshop back in 1907. I know that a prediction of the year 2007, made a hundred years previous is a bit of an easy target. I’m sure if I were to make predictions here and now about the year 2112, it would be mostly ridiculous. Could we predict the next 50 or even the next 10 years? 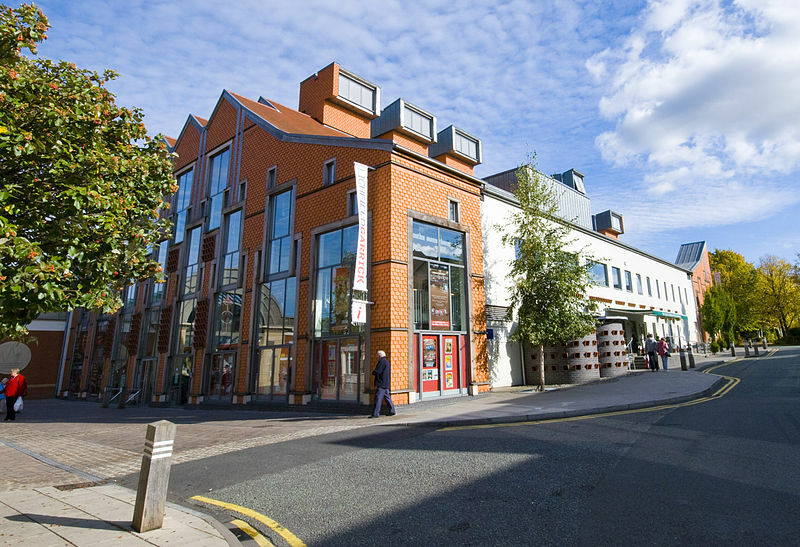 In looking to the future of Lichfield, would it reveal anything about our present? Maybe we should give it go. It’d give future generations a good laugh if nothing else. Any volunteers? 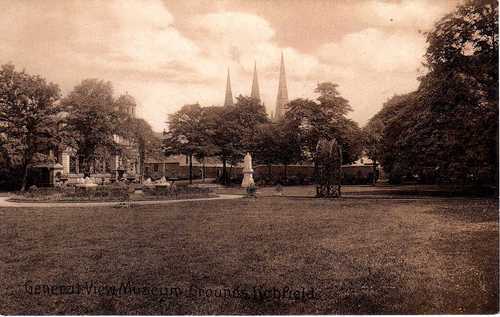 This entry was posted in architecture, Cathedral, Friary, George Hotel, Lichfield, market, Mercury, Sandford St, stories, Streets, The Garrick and tagged architecture, Beacon park, future, Lichfield, Lichfield Cathedral, Lichfield FC, museum gardens, pleasure grounds, predictions, recreation grounds, Sandford St, The Garrick, theatre by Kate. Bookmark the permalink. maybe we were visited by people from Mars ,beam me up scotty !.